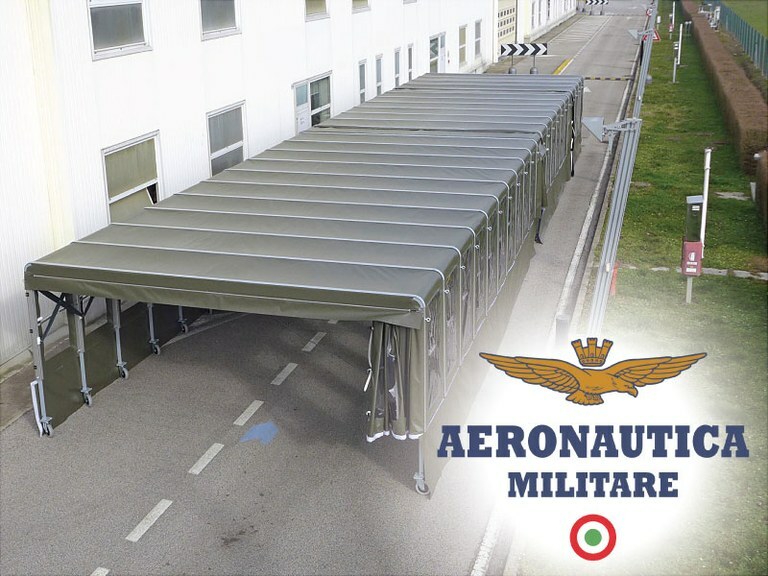 The Italian Air Force has chosen the high quality and high performances of our temporary buildings by appointing our Company as Official supplier for a very bespoke project meeting their specific requirements: a retractable Ready box coming pre-assembled for a quick handling and easy delivery . 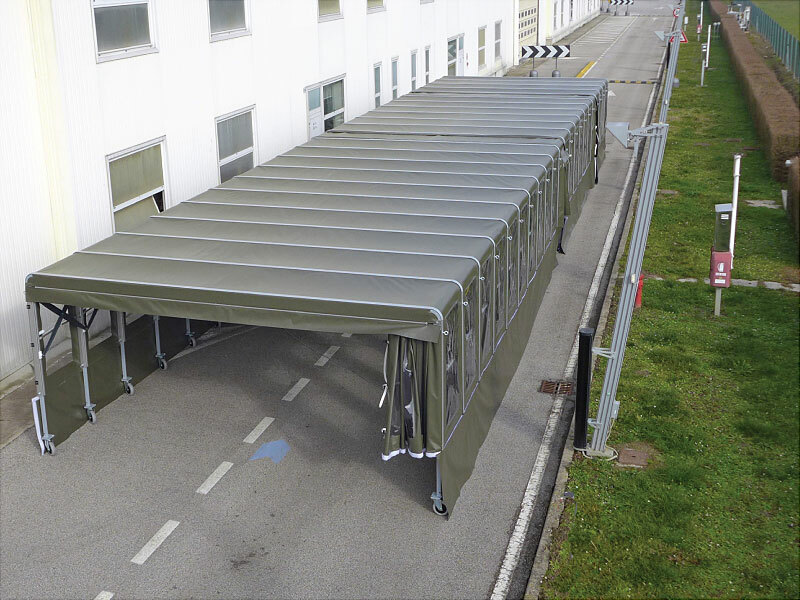 Having a 2.5 m pass high, a width of 5.5 m and a maximum extended length of 22 m, the structure can be retracted for an easy delivery by air through a 20 " container. 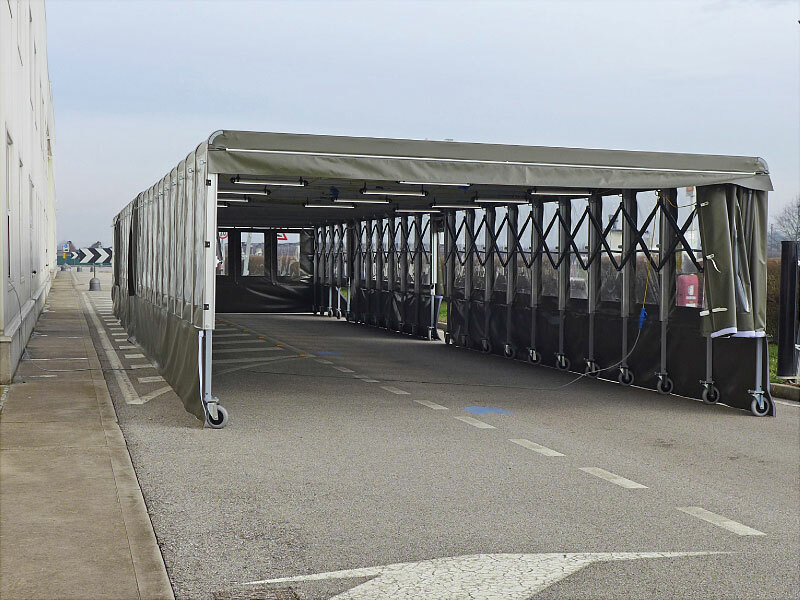 The innovative solution which has been developed by our designers is provided with telescopic upright for adjusting the height of the structure on site and though keeping the strength and solidity of the product . 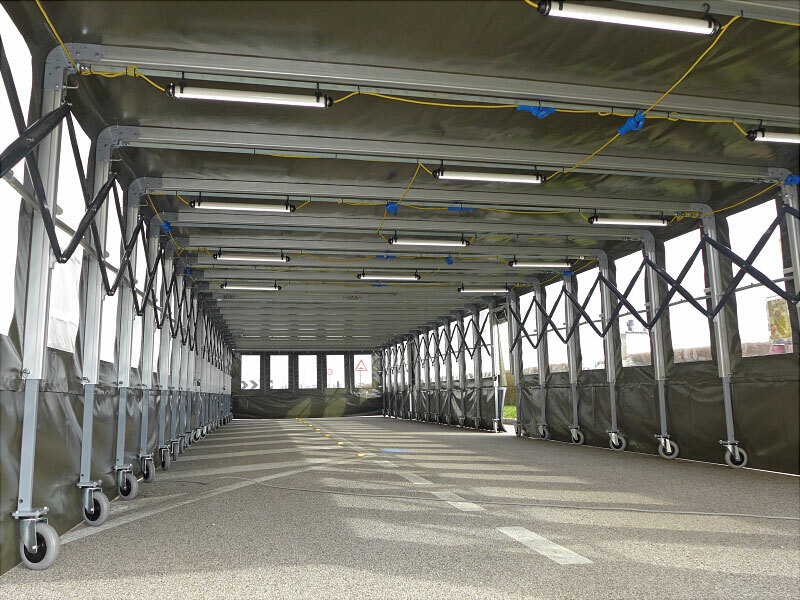 Inside the box spot lights and related cables have been supplied for making the structure more comfortable and even more suitable in the most adverse weather conditions.